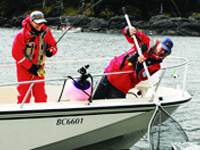 Planning is underway for the fourth annual Fishing for Kids Fundraising tournament, WCFC’s exculsive and highly successful event in support of BC Children’s Hospital. This year, the tournament will take place September 3-6, moving from its traditional May time slot. 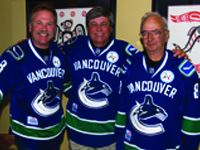 In just three years, the event has raised more than $1.5 million for B.C.’s kids. Funds have been directed toward the Child & Family Research Institute, where some of the world’s top researchers are working in many areas of childhood illness, including diabetes, cardiovascular sciences, genetics, nutrition and oncology. The success of this four-day event depends entirely on the dedication of its participants and sponsors. 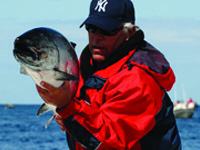 For an entry fee of $6,500, anglers have a chance to win over $100,000 in prizes, including a top cash prize of $75,000. With the help of its sponsors, WCFC will provide luxurious accommodations, gourmet meals, and of course, the best fishing in the world. Special guests will include Vancouver Canucks defenceman, Willie Mitchell and international culinary star, David Hawksworth. Be a part of this exclusive event, but act fast as there are only 40 exclusive spots available.